When you think of the “best hotel experience”, you think of luxe style, creature comforts, ultimate detail, a bit of whimsy and a fabulous locale. Welcome to the Viva Suite. Our 4,400-square-foot hotel experience features 2 grand bedrooms, two baths, dining for 10, a full bar vignette, detailed amenities, an expansive balcony and curated design, all with stunning Red Rock Canyon views. And all with the service of our incredible butler team, complementing your stay in a thoughtful and exquisite way. This extravagant 2 bedroom suite in las vegas provides 4,400 square feet of luxury with two bedrooms. 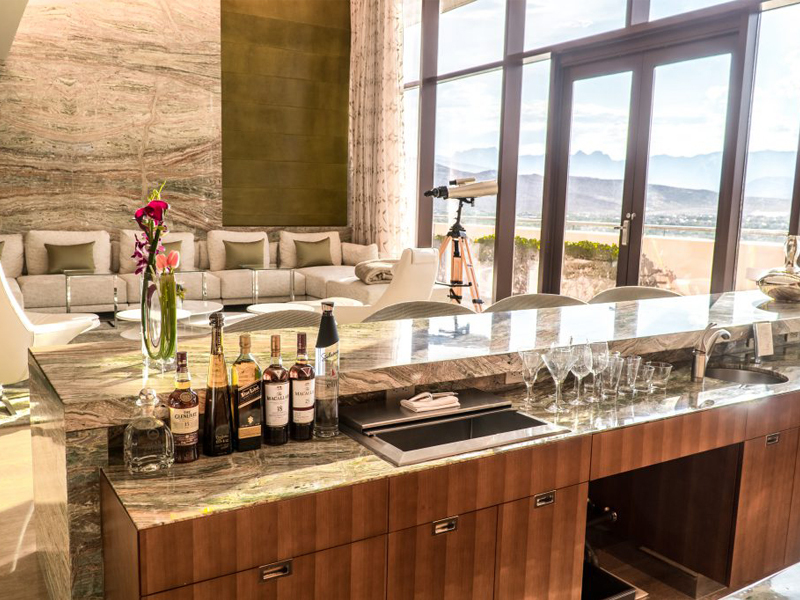 Located on the Tower’s Penthouse Level and featuring a spectacular view of the dramatic Red Rock Canyon framed by the brilliant blue southwestern skies. Enjoy the vistas from your private patio that also offers a bird's-eye view of our three-acre backyard pool below. The expansive parlor has a large sunken living area with vaulted ceilings and Italian stone throughout. There’s a double-oversized U-shape sofa and a CD/DVD player with upgraded surround sound and a 65-inch High Definition Plasma TV. 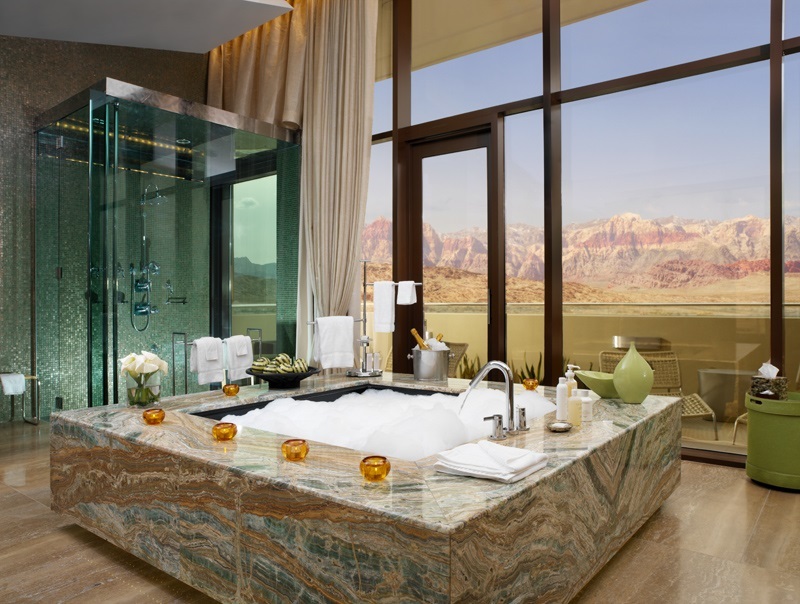 Step into this jacuzzi suite in las vegas with full marble master bathrooms and you’re surrounded by the ultimate in luxury appointments and amenities. There’s a large Jacuzzi®-style tub and separate steam showers with double rain shower heads and Swiss body spray bars, dual sinks and lighted makeup mirrors. And in case you don’t want to miss anything on television, there’s a 17-inch LCD TV at the vanities, a 17-inch in each water closet, a 42-inch TV at the bath tub, and two 23-inch monitors behind the mirror in the second bathroom. Lest we forget, plush terry robes await you after your bath. And we’ve gone above and beyond with our Toto® Washlet® toilets. They’re the ultimate in clean, water-saving comfort that transforms your bath space into the ultimate spa suite experience. Other fine living-area amenities include a Creston Audio, Visual and Lighting Control System, dining table for 10, powder room, large sunken bar with a large lounge area and another 65-inch High Definition Plasma TV with DVD and upgraded surround sound behind the bar, ice machine and ice bin, motorized drapes, voiceover IP Internet phone and iPod docking stations. 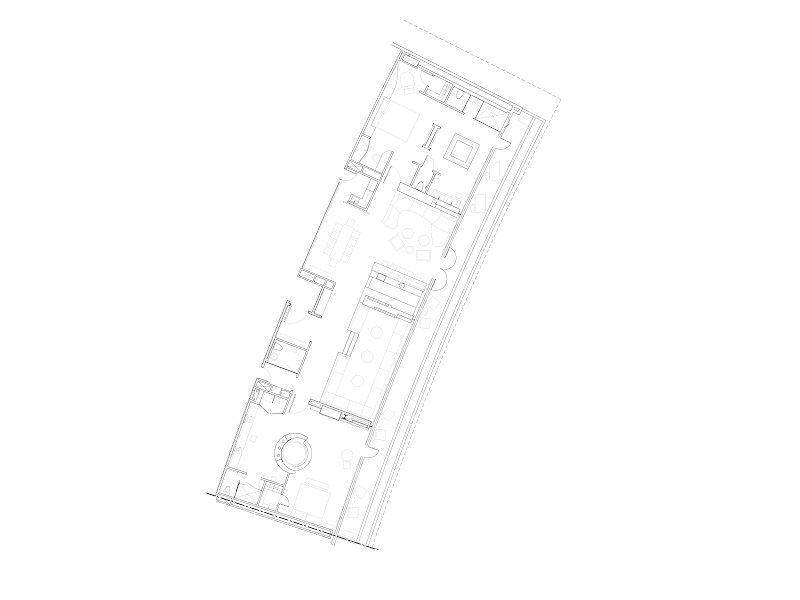 There’s even a service pantry with separate entrance, a microwave and Sub Zero fridge, and a butler service paging system in this luxurious hotel suite. 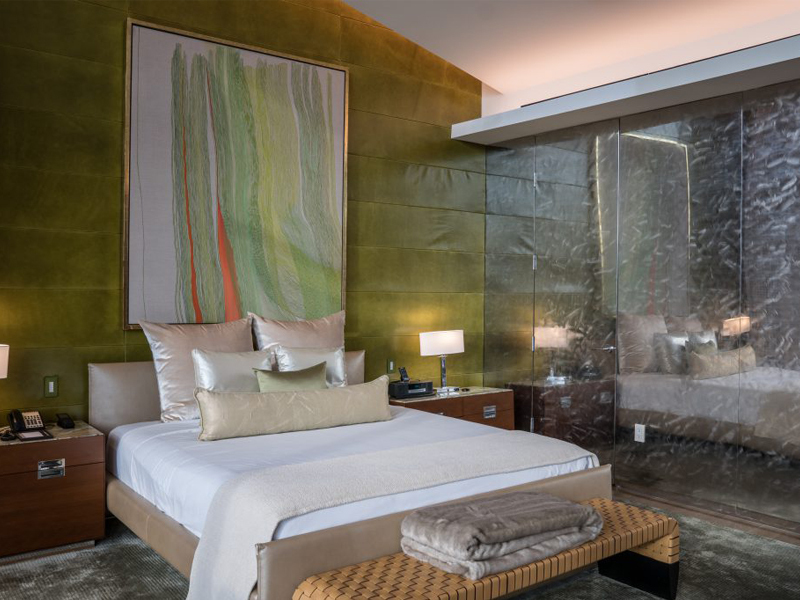 Our master bedrooms feature the ultimate experience in luxurious Las Vegas suites. Plush down duvets and pillows, 320-thread count Egyptian cotton linens await you, as well as phenomenal amenities such as a 50-inch High Definition Plasma TV with DVD, high-speed data jacks, automated private bar, in-room safe, full-length mirrors and motorized drapes. For a truly extravagant vacation, nothing comes close to this penthouse suite at our fantastic off the strip resort.